Leading full-stack real estate services providers ANAROCK Property Consultants have announced the formal launch of ANAROCK Consulting Services. The division will be led by industry veteran and thought-leader Ashutosh Limaye as Director & Head – ANAROCK Consulting Services. Limaye was previously National Director & Head of Research at a leading international property consultancy. His long-standing senior associateGaurav Wahi comes on board as Head of Operations for the new Consulting vertical. 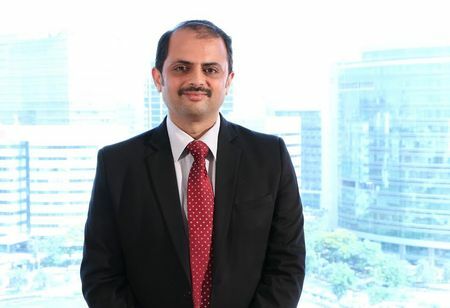 "It is exciting to be a part of ANAROCK, India's most disruptive and tech-driven real estate services firm," says Ashutosh Limaye. "We look forward to amplifying its scope with our consulting expertise. This division will provide expert advisory services to major real estate stakeholders across the board, starting with developers. We service Government agencies, banks, NBFCs, institutional investors and retailers as well as HNIs and end users on the perfect entry, exit, deployment and investment strategies. Perhaps most important of all, we help real estate developers ensure the success of their projects in this challenging market environment." The Consulting team has a cumulative experience of more than 100 years in development advisory, financial feasibility assessments, asset valuations, transaction management and corporate consulting. It specialized in various real estate asset classes and the entire spectrum of Indian markets covering tier I, tier II and tier III cities as well as emerging geographies. ANAROCK Consulting Services brings to the table global best practices and a thorough knowledge of local requirements and market sentiments for its ever-growing clientele. Anuj Puri, Chairman - ANAROCK Property Consultants says, "We heartily welcome Ashutosh Limaye, Gaurav Wahi and the entire Consulting team to the ANAROCK fold. The team is already servicing India's most prominent real estate developers and working on projects of diverse scale, locations and activity mix. In line with our New Age approach to the real estate services business, the Consulting team leverages state-of-the-art technology which is perfectly aligned with ANAROCK's existing technology platform. This division will provide a bouquet of extremely specialized, results-oriented and fully tech-enabled services and solutions to our clients. As evidenced by the alarming number of failed and under-performing real estate projects as well as the mounting rate of bankruptcies and stress-based consolidations, takeovers and divestments, the need for a research-based approach to the real estate business has never been greater. In a highly disrupted marketplace, expert advisory in key areas such as optimal location identification, consumer profiling, deployment timing and overall execution strategy is a vital differentiator and success ingredient. " ANAROCK's Consulting division maintains a real-time database constantly updated with inputs from across the real estate industry, from financiers and developers to end-users. It will also collaborate with the Firm's Research team to create and publish cutting-edge industry reports and analyses for both specific client requirements and for the public domain. Gaurav Wahi, also with a Master’s degree in Planning and a member of RICS, is a well-known industry professional, particularly so in the fields of public private partnership (PPP), transaction management and infrastructure real estate advisory.